less than 3 months before the wedding, i started to worry about how to look my best on my wedding day. i wouldn't go on a wild and extreme diet. i love good foods so starving myself is not the solution. honestly, i am more worried about my skin problems than about my overweight body. the skin issues is not new for me. i've seen dermatologist since i was in college. there were few times when i've gotten myself on antibiotics for a few months to clear up my face. it works but not for so long before the same problem came back after some time i finished the antibiotics courses. not just antibiotics, i once prescribed to consume hormone pills to balance the hormones in my body. i've went through chemical peeling procedure with the specialist for total of 4 times which did not really help i think. same with 10 times of vitamin-c injections which i think just a waste of money because i couldn't see any changes or improvements on any aspects. once again i went to a medical aesthetic clinic last monday. the doctor there prescribed me with antibiotics and hormone pills, as usual. i just started the course for a few days and i've already seen some improvements. my active acnes have dried up so fast. the hormone pills can help solving my dandruff and hair falls problem too. so it's like killing two birds with one stone. the doctor was actually recommending me to go on a co2 fraxel laser procedure. the treatment is done by removing deeper layers of damaged skin and stimulating the regeneration of healthy skin underneath. i've read many of good reviews on fraxel but i don't have money to pay for the treatment. the cost is rm1,200 per treatment. but now that they are having a chinese new year promotion till 10 february, they will give you 2 times of the treatment free of charge. meaning that you will get 3 times of fraxel laser procedures with a price of 1.
interesting, but still i couldn't afford to go on that treatment. i asked for a sponsorship from my fiance, but he said that he prefers getting me a pricey handbag for the hantaran rather than paying for the fraxel sob2. tak dapat lah nak dapat crystal clear skin on my wedding day. as an addition, i still continue with my topical tretinoin (retin-a) cream. and i also ordered a glycolic aha souffle from the states last month. there are so many good reviews on that aha souffle over the internet and that's why i decided to give it a try. the combination of retin-a and aha is perfect for skin rejuvenation. and not to forget to combine them with a bha (acid salicylic) cleanser. i just bought myself a hada labo cleanser which contains aha + bha. it is so creamy and i think it's good because it doesn't dry up my skin like other aha/bha cleansers i tried before. other than that, i promise to get myself on a series of facial treatments, once every 2 weeks. the facial of course will be done at seputeh kapas spa. as supplements, i have gotten myself the innershine essences back which are proven to be good for me. and i am still on with the cocoa collagen drink since last year. to date, i've finished more than 20 boxes of cocoa collagen drink (a box contains 10 sachets of cocoa collagen drink). not that it is so good but i actually bought myself 30 boxes of cocoa collagen last year. for the teeth, i might be going to a dentist in seksyen 8 shah alam next month. they have this take home whitening products that costs rm250. the products have proven to be extremely effective. my bff, ieja, tried the take home whitening kit before her wedding anyway. i can see drastic improvement on her teeth. they are so white and shiny, like seriously. so it is not the same like other teeth whitening products that you can find at the pharmacy. anyway i've tried pearl drops tooth paste before which did not work to whiten my teeth. maybe just a shade lighter, ke i perasan sendiri. but yang take home whitening kit kat dentist kat shah alam tu memang gigi ieja jadi macam mak oi putihnya, kena beli jugak ni. as mentioned above, i wouldn't go on a wild and extreme diet. but i might try eliminating sugars and carbs from my diet. not yet started, maybe next month. haha last month ingat nak start bulan ni tapi tak start jugak. wax hair down there, as well as legs and underarms. that one maybe a week before the wedding baru nak buat. but i already bought the wax, the wax heater and the wax strips. tried the wax for underarms once and i think it's great. yang paling penting, drink lots of water. yang ni sampai sekarang tak dapat nak buat lagi sebab i suka air berperisa. self pick up & return for both items. location for pick up & return: seputeh kapas spa, sungai merab luar, bandar baru bangi. rm100 deposit needed for both items which will be refunded upon return of good(s). interested? kindly email me at aishah_ara@yahoo.co.uk. and ohh.. this kurung moden is still available for grab. more items for rent will be added later. 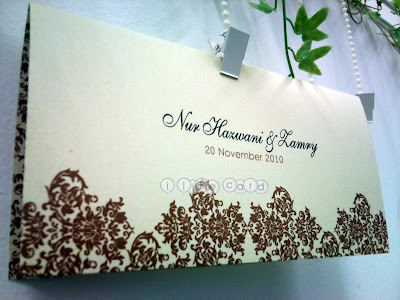 -bantal / alas nikah (rental price: rm50 for 2) - click here. the bouquet is made out of 8 x RM10 bills. this is my first attempt (making flowers from notes) and i love the way it turned out. thanks so much for tutorials on the internet. this is such an easy and doable DIY. it's a maskahwin by the way. for my cousin's akad this friday. cuba terus terang, cantik ke tak? 20 kuntum uols for today. tapi harini punya tak cantik, kelopak semua comot-comot. tengok dekat-dekat geram macam nak buat balik, tengok jauh-jauh sedap sikit. nanti siapa yang dapat bunga pahar i, tengok jauh-jauh je tau. yuhuu, i am in d.i.y. mode. went to bunga reben at jalan tar this morning to get some stuffs for my d.i.y. bunga pahar. i was in that shop for 2 hours ++. after 1 hour in that shop, i didn't buy anything just yet. i took my own sweet time browsing each and every thing that they have. trying to get the idea of how i want my bunga pahar would be. lovely fiance sibuk main game dalam phone so takpe, memahami. i actually had the rough ideas in my head. 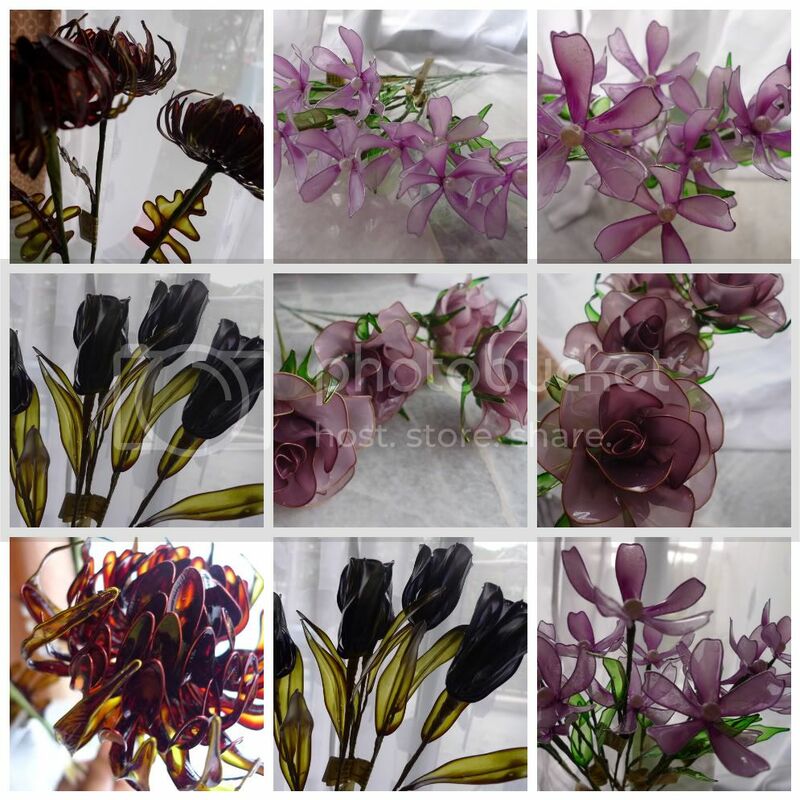 i wanted to have crystals and dip flowers for my bunga pahar, with lots of ribbons. i know that dip flowers have become so common and somewhat outdated but who cares. so these are my catch. oww i know that i don't have to brag about this, but i am really proud of myself. i have successfully made my very first dip flowers. masa beli barang berangan nak buat bunga rose macam gambar bawah (row #2 column #3). baru pintal-pintal dawai sikit dah sakit-sakit jari, by the time kahwin confirm tangan dah kasar. wedding invitation card provides the first impression to the guests, thus it is important to choose the right one for your wedding. i love the idea of putting lace on the invitation card where it creates a classy vintage look. or maybe something simpler without the lace but with lace inspired prints that would still look gorgeous. like the one below from ilikecard. the cost for this card is rm1.45/card for 500 cards with additional charge of rm30 for the artwork which i think still reasonable. mentioned cost includes printed outer envelopes anyway. cantik, just like what i want but different color lah. the one from sejaticards pun i suka. sorry i cannot find bigger picture of the card. but they are located in singapore, so the card is pricey, s$3.10/card for 500 cards. okay, lupakan sahaja walaupun suka. but there is always a cheaper option, for example, like this one offered by kadkahwin. this card is only rm1.00/card for 500 cards with additional charge of rm30 for the artwork and rm50 for printed envelopes. simple and sweet, suka juga. 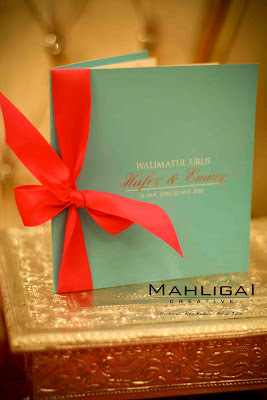 ohh ohh and this one from mahligai creative, saya cinta. cinta sangat dengan yang ni dan berangan nak gantikan ribbon tu dengan lace which boleh tampal sendiri. by the way, the price is rm1.60/card for 500 cards. hmm what do you think about the idea of interactive wedding card? weddingkami does offer that kind of wedding card. you might want to check their website because i think they are brilliant. huge leaps starts from little steps. let's protect our mother earth by reducing paper and print wastage that may come from the wedding invitation card. they offer 2 types of package; economy (rm400) and exclusive (rm1500). they do prints too because not all guests have internet; but still they would encourage you to print in smaller volume (think green, remember?). for me, i don't want to membazir on my wedding invitation card. i just want to make sure that the card will match the wedding theme. nanti nak pergi check out kat jalan pudu, sana banyak kedai kad kahwin. i'd like to join contest organized by eightdesignsboutique. it's called "my BFF contest". you can find details on the contest here. all i have to do is just email them a picture of me with my BFF(s). wait until they upload the picture in their facebook fan page. and ask friends to vote by clicking "like" on the picture. saya ada banyak gambar dengan kawan-kawan baik saya. dan saya confuse tak tauhu nak pilih gambar yang mana untuk dihantar sebagai penyertaan. lovelies, help me choose the best pic! okay melampau pulak banyak sangat pilihan. i am terribly sorry for the lack of news and updates to this blog. 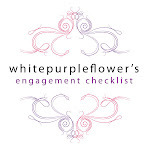 most of my time these days is taken up by my wedding preparations, as well as family and business matters. 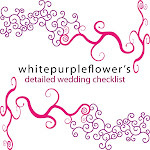 wedding preparations' progress is on schedule; i actually put deadline for each and every item in the checklist to make it easier for me in monitoring the progression. some critical issues have been discussed in family meetings. we have decided to do the reception at home, finally. 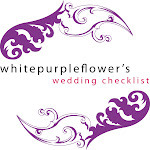 all materials for both bride and groom have been safely sent to our tailors where the first fitting will take place in less than a month from now. happy to know that the proposal for wedding door gifts has been approved. i've got myself the best photographer in town. i'm glad to have my friend as my makeup artist (not zila because she will be in confinement period at that time). next, meeting with the food provider will take place on tuesday, january 11th. from there, i will proceed with invitation card ordering and others. and i have to start pushing mr. fiance to fill up the forms and get all required documents ready before the end of this month. my mom and little sister are back from holland, safely; however not in 100% health and mental conditions. mom came home with blistered lips due to the very cold weather and heavy snow. she had her wallet stolen by a pickpocket on the second day; anyway, holland is listed as one of the top 10 hotspots for pickpockets here. grandma is sick; her energy level is very low, she can't stand or even sit for a long time. that day grandma fell when she was getting herself ready to perform solat, ended up with an injury that alhamdulillah said to be non-serious by a specialist but still, made everybody in the house worry. she's now in my uncle's house since my parents had to go to indonesia a day after the tragedy. i lost my favorite staff because she had to follow her husband and move to other city. she had been working with me for about 2 years and she was quite good in her job. so i feel a little stress on the loss. but life must go on, i'm now in the process of searching of a replacement. anybody interested to be a therapist/beautician at my spa? that day my car started sounding like a truck, a diesel truck. my dad got it repaired a day after that, thanks ayah. but today it gives me another headache. this time it is not about the sound, but the temperature. the temperature went up when i was alone, in nilai 3.
thanks to my lovely fiance, came all the way from gombak to nilai to save me. the car was okay after mr. fiance came and filled the radiator with the coolant. but the car got overheated again when i was driving back home. the problem could be because of the leaking radiator. thus, tomorrow i will send the car to the workshop first thing in the morning. quick updates are not so quick when i actually have many things to share. my sister got herself in an accident last week which put her in a 'drama'. the other sister has started her industrial training and since the office is quite far from home, she's staying with her friends; that sounds like a young adult already, ohh she has grown up! little sister has started schooling again and she is no longer a 'pelajar menengah rendah' wow. my best friend just finished her confinement period, so we are now looking for a day to meet up. the other best friend send both of her children to boarding school starting this year. the other one is still busy honeymooning, maybe. actually there are lots more. but i better stop here because i have to sleep because it is 15 minutes to 3 am.